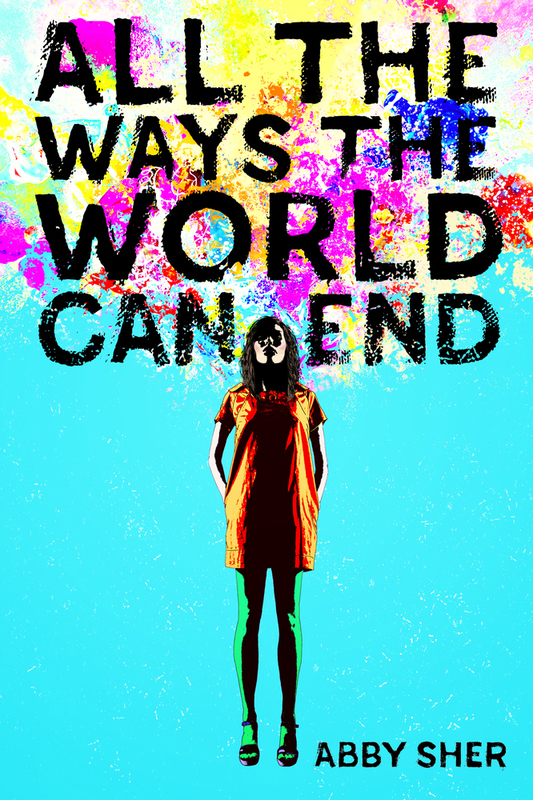 All the Ways the World can End by Abby Sher is at times heart wrenching while at others hilarious. Lenny (short for Eleanor) feels like the world is about to end. Her best friend is moving to San Francisco and her dad is dying. To cope with her stress Lenny is making a list of all the ways the world can end—designer pathogens, blood moon prophecies, alien invasion—and stockpiling supplies in a bunker in the backyard. Then she starts to develop feelings for her dad's very nice young doctor—and she thinks he may have feelings for her too. Spoiler alert: he doesn't. But a more age-appropriate love interest might. In a time of complete uncertainty, one thing's for sure: Lenny's about to see how everything is ending and beginning. All at the same time. My dad had turned into a nocturnal creature. Some rare half-owl, half-lemur, with a majestic wingspan but bloodshot eyes, shedding gray wisps of himself everywhere. Abby Sher is a writer and performer whose work has appeared in The New York Times, The Los Angeles Times,Self, Jane, Elle, and Redbook. She is also the author of Breaking Free: True Stories of Girls Who Escaped Modern Slavery, Amen, Amen, Amen: Memoir of a Girl Who Couldn't Stop Praying, and Kissing Snowflakes. Abby has written and performed for the Second City in Chicago and the Upright Citizen's Brigade and Magnet Theater in New York. She lives in New Jersey with her family.